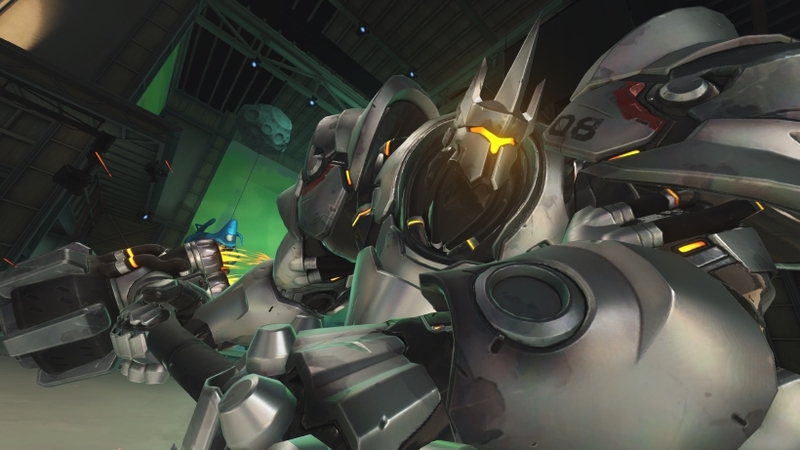 The Overwatch League has just published a new video showcasing what it considers to be the very best plays from Week 5 of this year's competition. We think it's a lot more interesting than last week's release, which focused on DPS displays of prowess - fun to watch, but not an awful lot to learn from. This week's round-up is much more varied, and features plenty of tight timing and clever strategic hero switch-ups. We've embedded the video for you below, but gfycat seems to be throwing a bit of a wobbler at the moment and so we can't create individual gifs. We've added the timestamps in instead - we'll add the gifs in as soon as we can! Dogman demonstrates some awesome timing here to keep Pokpo's Reinhardt up long enough, before dropping a Biotic Grenade which crushes the Houston Outlaws and leaves them completely unable to withstand the power of Pokpo's team-crushing hammer swing. A lovely little combo that wipes 'em all out. 34s - Sado's timing here speaks for itself, and he cleanly breaks away from the pack to take Lucio out of healing - and booping - range. Oh and he crushes him into the wall and sends him back to spawn in the process. Beautiful stuff. 51s - Most of us take a little warming up with our heroes and struggle to switch competently between characters for a temporary change of strategy. Not so for Boston Uprising's Colourhex, who pivots onto Widowmaker, takes out the problematic trash and puts Sombra and Lucio down without breaking a sweat. 1m 8s - Note does a fantastic job of taking pressure off the point as Tracer. By focusing on the backline characters he leaves the Dallas Fuel in no position to carry on pressing their position. Although he misses out on a couple of satisfying full kills afterwards, it's enough to force the Fuel to scamper and regroup, and buys his team some essential breathing space in the process. 1m 28s - Muma once again proves that in a Rein v Rein match-up you#d better be well on top of your timing game. Unfortunately his counterpart's Earthshatter fails to connect, leaving Muma free to show how it's really done. Pay close attention to how Danteh's Sombra hacks and kills with pinpoint precision too.